When running an orthodontic practice, building long-term relationships with your clients is an integral part of creating a sustainable brand. Word of mouth is an essential part of building confidence and trust in your services, and by showing you value the relationships you’ve established, you can create a significant amount of referral business to your practice. A great way to encourage your clients to share their positive experiences with friends and family is by incentivizing customer referrals. There are many ways businesses can incorporate incentive programs for their clients, many of them proven to increase new business acquisition significantly. 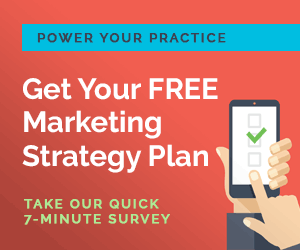 Here are three referral programs that your practice should consider implementing today. Some businesses provide discounts to customers who refer new business. In many cases, you can further encourage new sales conversions by incentivizing both the current and potential client with a percentage off of services as part of a “friends and family” rate. These referral discounts can be advertised on customer receipts and handouts after a service is completed and are easy to reference when sharing with friends. Gift cards and vouchers are a great way to reward clients for their willingness to refer new business and share your brand’s products and services with their friends and families. Gift cards to local restaurant chains or coffee shops are always a popular choice when incentivizing clients and have been proven to increase client engagement when filling out referral cards and online contact forms. You can get even more creative by providing tickets to local museums and theaters, catering to a broader client base and significantly improving the likelihood your business receives a referral. While it may be tempting to offer tickets to a specific performance at the theater or a certain football game, this tactic may discourage some patients from referring someone because they aren’t available that day. Promotional gifts are another way to show your appreciation to your clients while encouraging referrals. Depending on the size of your practice, referral gifts can vary in size and value, but can still be an impactful way to reward your clients for their loyalty to your brand. The great thing about purchasing gifts for your referral incentives is you can buy these items in bulk helping you control costs while supporting your client referral programs. Or if you prefer not to have extra gifts sitting in your office, it is easy to order items as you need them since so many online retailers offer fast, and often free, shipping. Designing a loyalty program for your clients can be a great way to acquire new business leads while simultaneously building long-term, sustainable relationships. There are many ways to introduce these programs to your customers: through your company website, on marketing collateral, or with monthly patient newsletters. 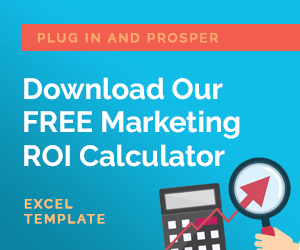 To be successful, it’s essential to use the right tools to monitor and track your referral programs over time to ensure prospects are being followed up with and that the program itself is working. Ortho Sales Engine helps orthodontic practices plan and execute their referral programs efficiently while nurturing leads and maximizing conversions. OSE’s cost-effective processes are proven to increase your appointments by 50-100 patients per month and are designed to improve your brand awareness. Call today for a free 15-minute consultation to see if Ortho Sales Engine is right for you.